Quotations about Benjamin Button. Quotes to stimulate mind and drive action! Use the words and quote images to feed your brain inspiring things daily! 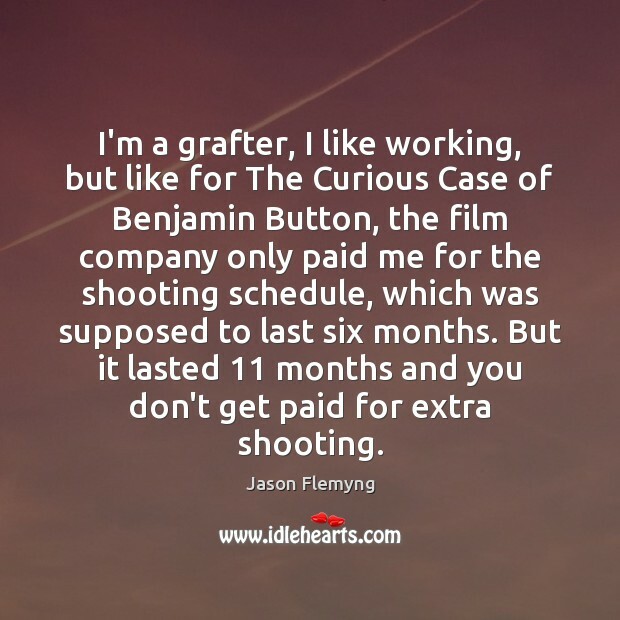 I'm a grafter, I like working, but like for The Curious Case of Benjamin Button, the film company only paid me for the shooting schedule, which was supposed to last six months. But it lasted 11 months and you don't get paid for extra shooting. The fact that you can remember yesterday but not tomorrow is because of entropy. 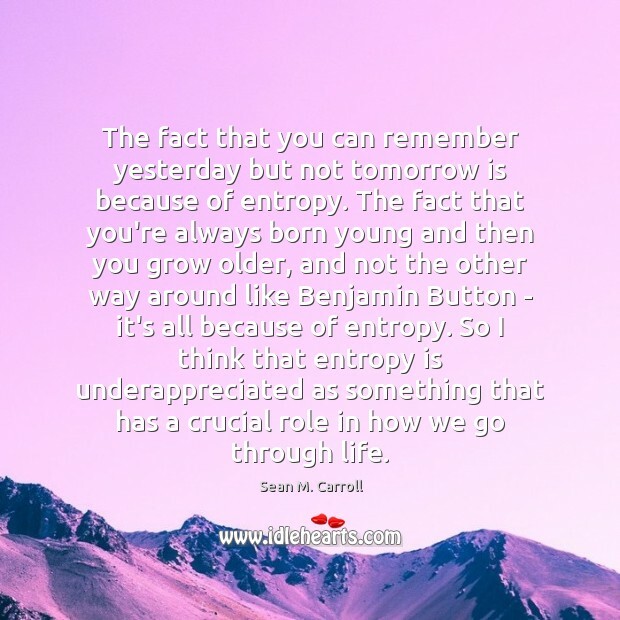 The fact that you're always born young and then you grow older, and not the other way around like Benjamin Button - it's all because of entropy. So I think that entropy is underappreciated as something that has a crucial role in how we go through life. When you saw the movie "The Curious Case of Benjamin Button," that was Michael [Jackson]'s story write large. Born as an elderly person, Benjamin Button was, in the F. Scott Fitzgerald novel and in the film starring Brad Pitt, he dies as a newborn child. Michael Jackson's childhood was one of enormous, prodigious production.He was a child prodigy, he was a wunderkind. I most resemble Benjamin Button. I evolve. I attach myself to the heartbeat of whatever is going on at that particular time, or I just chart a new path.